Reading’s SL service bodies feature the premium materials and quality construction Reading is famous for at an exceptional value. The SL is available in 98" single rear wheel, 108" and 132" dual rear wheel configurations. Both are available in standard and low-profile designs. You can get even more storage space with the Reading Spacemaker® option. Every SL service truck body moves through our exclusive E-coat primer and powder coat finish process for outstanding rust and corrosion resistance. 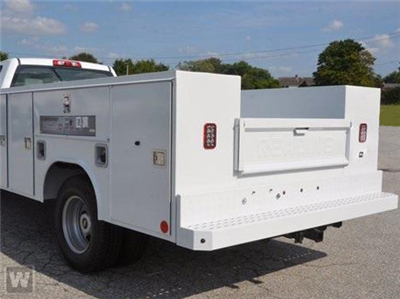 In addition, the SL service body offers numerous standard features and options, including Dual-Pro® door seals, an Aluma-Fill fuel cup, stainless steel rotary locks, a slam-action tailgate and much more. Made in America and backed by our 6-year warranty, the SL service body offers unbeatable value.